When does phone backup to google acct? I have had my S7 for about a month now and have been manually syncing everything going through settings-accounts-google. I have kept the automatic sync off to conserve battery life. Today I was looking around in the settings and came across an option to backup in settings-backup and restore- backup. I have this set to my google acct. to backup, and would prefer to use this to save my data. Ive searched and googled and cant seem to find under what conditions it backs up. There is no information other then an on/off switch and an area to put which account you want to use to backup. Im not interested in using Samsung or another app to backup, just my google account as this can be transferred to different types and platforms. So my question is, when and under what conditions (wifi connected while charging etc) does it back up? Also, I am open to just leaving autosync connected provided it doesnt use a whole lot of battery. Can anyone shed light as to how much battery is used by just leaving the phone to autosync? All of the things I care about backing up are there.....contacts, calendar, keep, so this is an enticing option. Thanks in advance for any help. Can't (and won't... I already learned that's a question no one can truly answer) comment on how much 'impact' auto-sync will have on YOUR battery with YOUR usage, but if that option is off, the only way to back up is to force the sync manually. 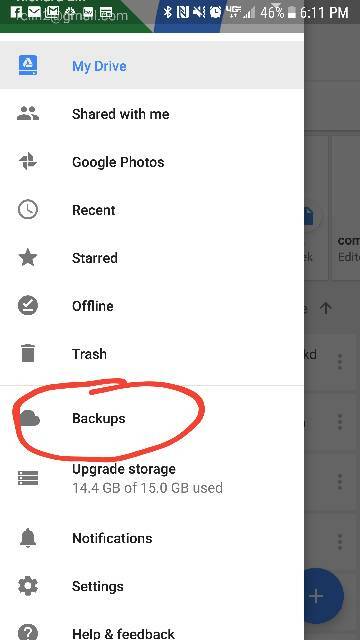 If you want it to back up automatically, it will follow the overall sync options, which means that as soon as there's a change detected in the specific item you're syncing, it will back up to Google's servers (or within a couple of minutes if the change originates on another device and you're syncing back to yours, like Contacts). These are 'push' operations, so the impact on battery will depend on how many changes you're causing to be synced. For e-mail, for instance, if you leave Auto-Sync on but never receive an e-mail, battery draw should be roughly about the same as having Sync off. But if you get 20 e-mails an hour, then it will noticeably decrease battery levels. Same thing with other sync items: the more you have to sync, the more battery it uses. To the best of my knowledge, the only item that allows other conditions to be added to sync (charging and/or on WiFi) is Photos. That particular settings is to sync a number of app settings as well as basic system settings (wifi, etc). You still need the regular Google sync in the Accounts settings for your email, contacts, calendar, etc. For me, it's generally updated once a day in the wee hours of the morning, which implies to me that it waits to be plugged in, connected to WiFi, and idle for a long period before syncing. 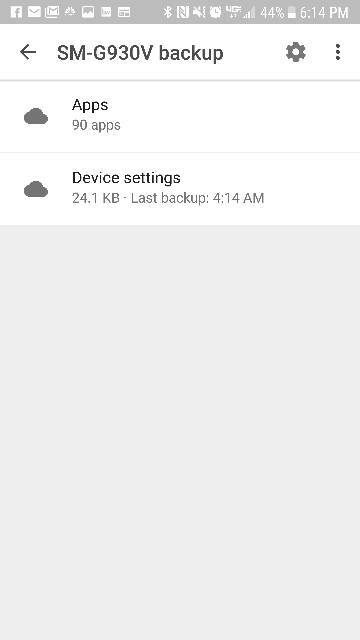 You can see when it past backed up by going into Google drive and selecting backup. A big thanks to both of you! I have never owned an Android device before, only iphones and Balckberries before that. I'veearned a lot but still have a lot to learn. On an iPhone one switch backs everything up to icloud and it tells you the required conditions for the backup to take place. That isn't really explained on this OS. I do like the freedom to customize and personalize the device with this system and am enjoying my S7. Again thanks for the help making the experience that much better for me. Also, I know I'm in the minority here, but aside from the missing favorites tab I do like Nougat better than the Marshmallow OS. I don't think you are in the minority, but I could be wrong. There are many of us that absolutely love Nougat and believe it is a nice step up from Marshmallow. I could never go back to Marshmallow. You just don't hear as much from us as you do with the people having issues and that don't like Nougat. Not sure why the app isn't uploading all the pictures. 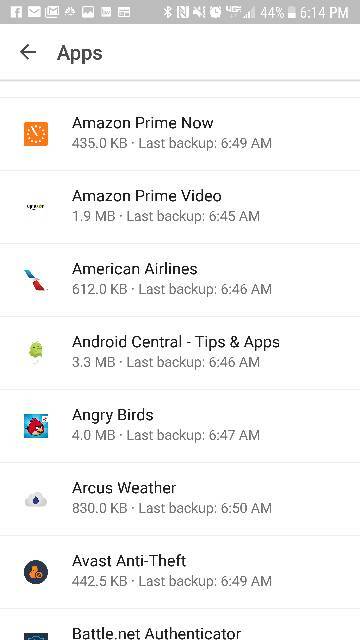 Here are the other screen shots showing where to access you app data and settings backups. One more, I guess the AC app won't upload more than one pic.